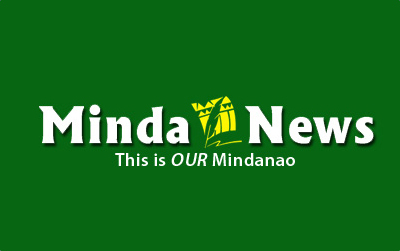 MALAYBALAY CITY (MindaNews/19 August) – Construction work of the Valencia City-Talaingod-Kapalong Davao del Norte highway will resume this year with the arrival of funds from the Department of Public Works and Highways (DPWH). Efren Berba, DPWH-10 assistant regional director, told the Bukidnon Provincial Board today that P287.2 million has arrived for the project and three other road projects the national government stopped when President Benigno Aquino III assumed office. The Valencia-Talaingod-Kapalong road was started during the Arroyo administration but obtained budget only up to 2011. 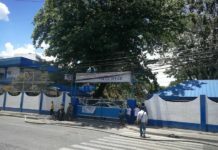 The Valencia City-Talaingod-Kapalong road, the biggest of the four projects, still needs P1.525 billion to pave the remaining 51 kilometers and install slope protection and flood control structures, according to then board member Nemesio Beltran Jr.
Lilibeth Aparicio, chief of the DPWH-10 construction division, said the P287.2-million allotment this year will be enough to pave 16.67 kilometers of the 73.6-kilometer highway. Davao-based Ulticon Builders Inc. won the bid to construct he portion of the highway to be completed in April 2014. Aparicio said the DPWH plans to gradually finish the highway, which they consider a secondary national road. DPWH said it will pave next year all primary national highways or those where traffic is heavy. It added it will do the same for secondary national roads in 2016. 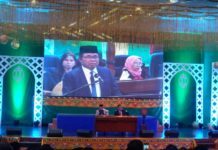 Berba also told the provincial board that they will complete the Pulangi Bridge in Valencia City, which was partially destroyed by the flood that hit the city in December 2011. She said they have allotted P50 million to finish two more spans of the bridge and P43 million from 2012 savings to build the approaches. The three other projects are the Aglayan-Zamboanguita, Aglayan-Alanib-Tikalaan, and the Impasugong-Patulangan roads. A total of P1.324 billion is needed to complete the three roads. The Aglayan-Zamboanguita and Aglayan-Alanib-Tikalaan roads were classified as secondary arterial roads or alternate roads. DPWH officials were summoned to the provincial board to explain the unfinished projects and overlaying of asphalt on the national highway.